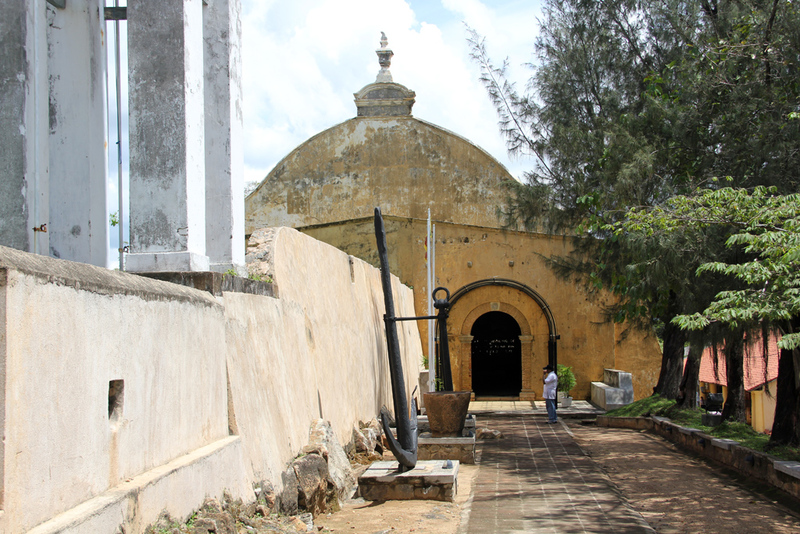 Galle, located South of Colombo, was once the most powerful and most influential port on the island of Sri Lanka. The city has a fascinating history. Long ago Galle was known as Tarshish, the city where ancient King Solomon obtained some of his exotic supplies. 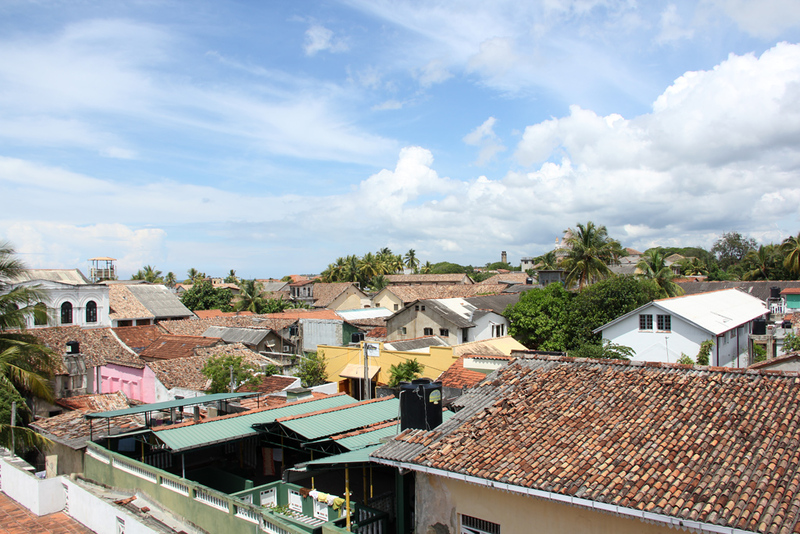 Many years later, the Portuguese landed in Galle and transformed the city into a European seaport. The Galle Fort, now a UNESCO World Heritage Site, was originally built by the Portuguese and later added to and remodeled by the Dutch. 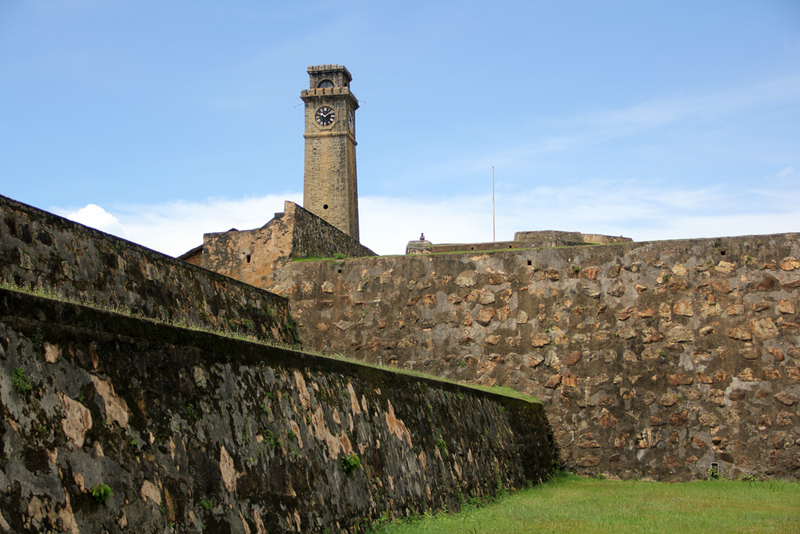 The fort was built in 1588 and to this day the walled city remains a great place to explore. 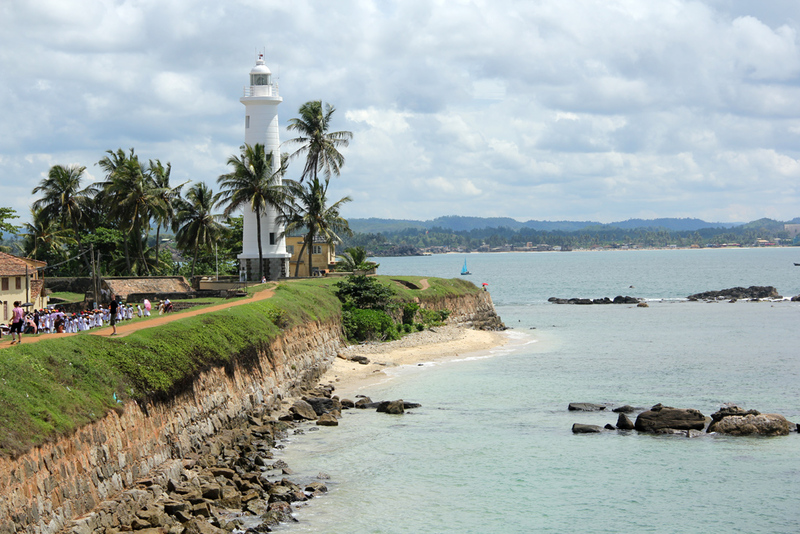 Within Galle Fort is the lighthouse, standing tall overlooking the clear ocean. 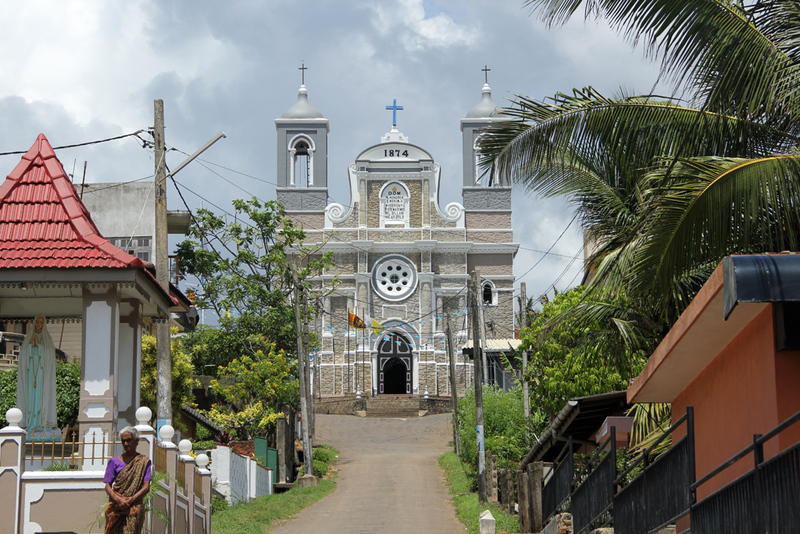 With the European influence, Galle is full of colonial buildings and churches. Walking around the fortress offers an opportunity to see many historical landmarks. Outside of the oldest area of town, there is still a large population of Catholic's. I thought this was one of the most interesting churches in town. Originally a Dutch warehouse, The National Maritme Museum showcases many interesting artifacts from the rich seaport of Galle. 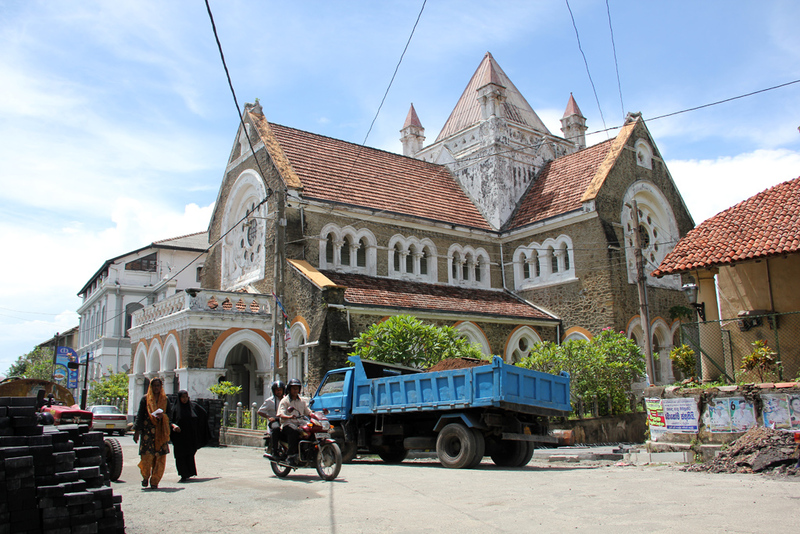 Though parts of the museum were damaged or destroyed during the tsunami of 2004, the museum remains a great place to learn about the history of Galle. One of the things I really loved about traveling in Sri Lanka were the massive shade spanning trees. 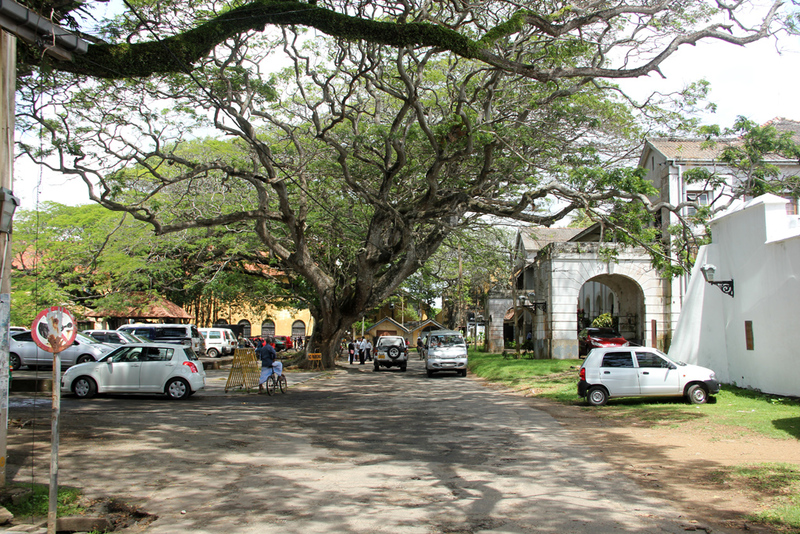 The huge reaching trees are one aspect that makes Galle such a pleasant city. Since Sri Lankan food is so delicious, there's no reason to miss out on the dining scene in Galle. Throughout the city there are plenty of restaurants and snack stalls serving tasty delicacies. 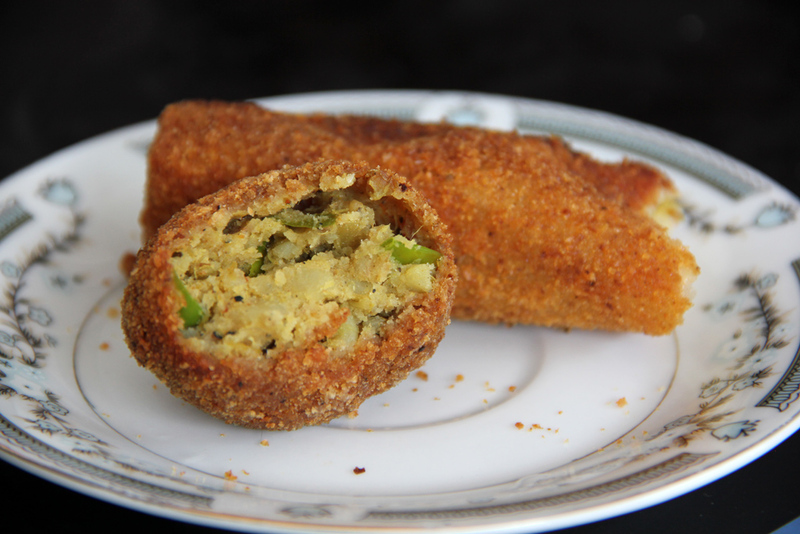 “Short eats” pictured above, are deep fried spicy balls of potato mixed with fish and spices. 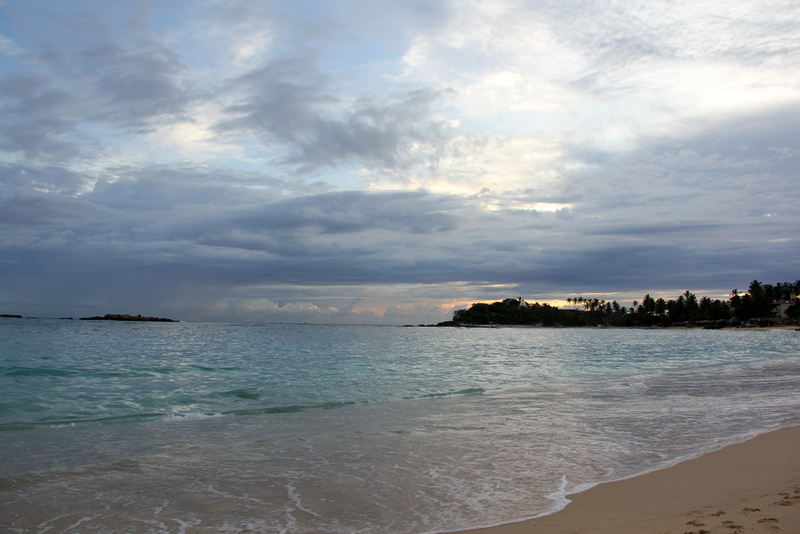 Unawatuna, a popular tourist destination, is located just down the road from Galle. It's a great place to unwind, enjoy the scenery and ultimately relax on the beach. When the sun begins to set, there's nothing more amazing than finding a quiet spot on the sand to kick back and enjoy the sound of the waves and the soothing breeze at the end of the day. Galle is a beautiful little town with a rich history. Make sure to visit Galle and the beaches nearby when you travel to Sri Lanka! You have captured a nice set of photos. Galle, is a city that should not be missed if a you visit Sri Lanka. Thanks a lot for publishing this kind of article.